Challenge #2: The Bike!.. no.. The Rower! … no… Weights!? We’ve been maintaining our healthy eating, running, and been frequenting our gym – the Preston Genesis! 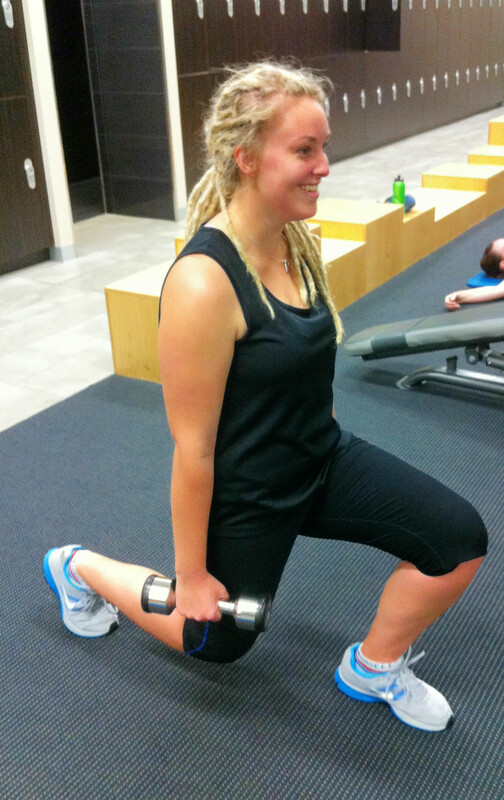 This week we did pump classes and got talked into trying our first CX class (30 mins of working out the core – killer!). We’re happy with those efforts, but our week 3 challenge was a bit of a bust to be honest. We did a massive two hour work out on the Friday and come Saturday realised we hadn’t done our challenge. So we forced ourselves to the gym early before Mel had work and figured we’d play it by ear. First, we decided on the bikes; 20 mins, whoever rides the most ks wins. Pretty good in theory – but then 5 mins in it became apparent something wasn’t right. Hannah was riding on level 18, mel on level 1 and this had made no difference to the distance! Oops. So we bailed on the bikes then we decided to use the rowers, but even though we appeared to be doing the same move and timing, different numbers were showing up on the screens and we couldn’t figure it out! It was getting ridiculous and Mel had to go so we decided to see who could hold a 3 kg weight outright for the longest. Hannah doubled Mel’s horrible effort and we finally got to the bottom of this weeks challenge!